Congratulations to the ESHS Class of 2018! 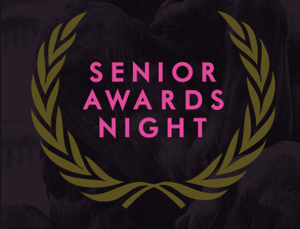 65 graduating seniors recently received scholarships generously awarded by individuals, organizations, and business and community partners at the El Segundo High School Annual Senior Awards Night. Thank you to all who make these scholarships possible! Click headline for list of scholarship recipients. Click the headline to view an update on the development of the El Segundo Aquatics Center. The Disney Channel’s award-winning, made-for-TV movie “High School Musical” rocked young audiences in 2006 and became a pop culture classic. This year, El Segundo Middle School (ESMS) is proud to present Disney’s “High School Musical Jr.” as its spring musical. Performances will take place on May 4 and May 5 at 7:00 p.m. at the El Segundo High School Performing Arts Center located at 640 Main Street, El Segundo, CA. Award-winning children’s author/illustrator David Shannon buzzed into El Segundo’s Richmond Street School on April 17 appropriately costumed as “king bee” to narrate his book “Bizzy Mizz Lizzie” to a captivated young audience who know his books well. The book is about a young, busy bee that learns to take time to stop and smell the roses! The El Segundo High School Drama Department will present the award-winning musical "Legally Blonde the Musical" on April 19, 20, 21 at 7:00 p.m. and April 21 at 2:00 p.m. in the El Segundo Performing Arts Center, located at 640 Main Street, El Segundo, California, 90245. El Segundo High School students attended the First Annual Civic Day hosted by the City of El Segundo on March 23. This joint educational initiative provides the high school students with an opportunity to learn more about the function and impact of local government.